Our center offers monthly activities that foster a connection to our community: reaching out to local children’s music teachers, story tellers, yoga instructors, and neighbouring dance studio. We encourage and welcome parent involvement: sharing their professional expertise to share with the children and their class. Sheila the storyteller shares her love of literacy while presenting entertaining and educational stories with puppets to children in daycares. They giggle and smile at her handmade puppets, amazing variety of voices, and interesting stories on many themes and life lessons, such as seasons, holidays, friendship, farm, circus, adventure, bullies. Etc. This is a wonderful introduction for young children to embrace and develop a love of literacy. Sheila makes her own creative puppets and props from recycled materials. What a wonderful way to stimulate the imaginations and the beginning awareness of recycling materials for children. Sheila has animated workshops in daycares, schools, summer camps, birthday parties, and she presents workshops to teachers and educators. Sheila has been accredited with making and donating many of her crafts to the children’s hospital of Montreal to ease a child’s fears. 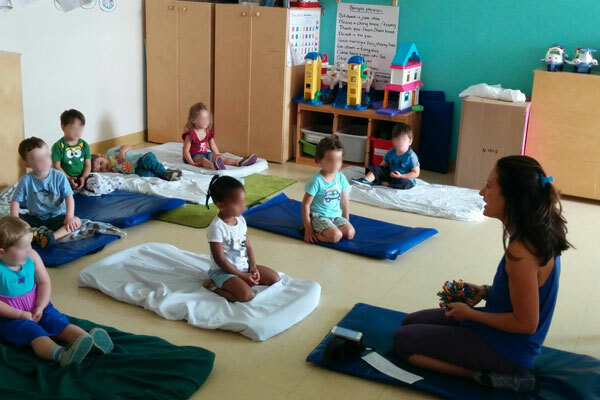 Regular yoga classes allow the children to explore relaxation techniques while improving their coordination, balance and gross motor skills. Yoga is offered to all classes and age groups, each class profiting from the specifically planned age appropriate yoga session. Monthly Dance classes in our neighbouring dance studio Juste Danse is another activity offered. 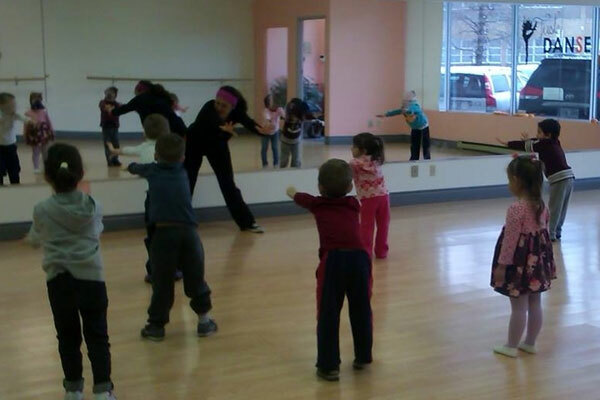 The children enjoy the experience of having dance lessons with an instructor. The children learn about rhythm, music, and develop a control of movement and their bodies. Our center offers monthly music class where our music teacher prepares a repertoire of music. The children learn not only the song but about music and movement. The children are active and eager participants in music class which follows our belief that children learn by doing. The children are exposed to various educational fieldtrips that offer the children the opportunity to explore new and exciting environments. We encourage parent involvement which strengthens the connection children make between home and the daycare. In yoga the children learn to control and move their bodies while following the simple instruction of our yoga instructor. 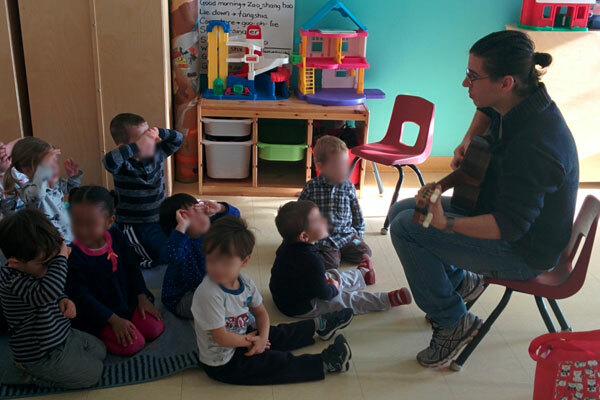 Twice a month the children learn about music, rhythm, and movement with Martin our music teacher. Story time with Sheila is always great fun for the children as Sheila engages them and encourages participation. The children profit from the monthly dance classes with their dance instructor. 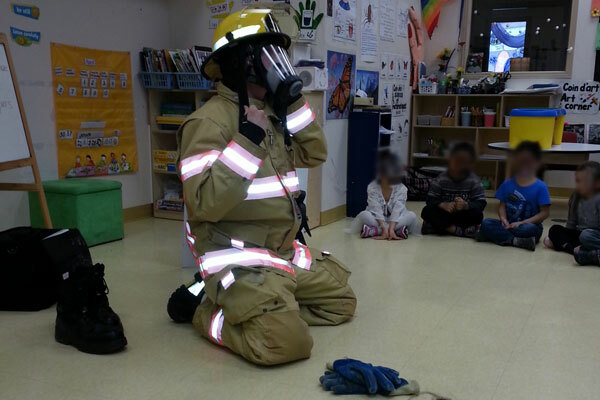 We reach out to the community and help the children learn about fire safety as well as how not to be afraid of the firemen when dressed in full gear. 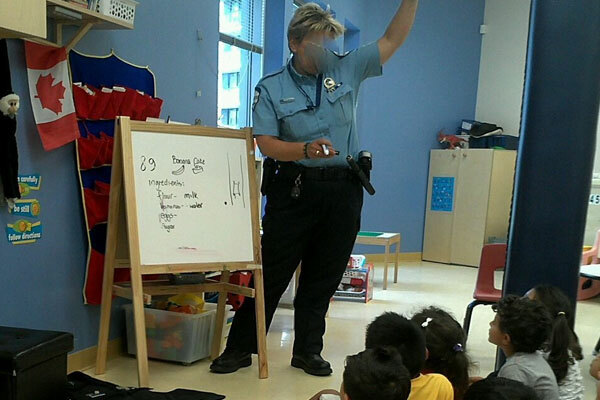 Police Officer Elizabeth teaches the children about safety and what to do in an emergency.